2nd Amendment Gunsmith & Shooter Supply, LLC is a Texas based business dedicated to providing quality gunsmith services, gun sales (trade-in options available), and shooter supply accessories to your firearms. We Gladly serve Austin, San Antonio, Houston, and Central Texas areas with our Gunsmith and Gun Sales Expertise. We are competitively priced and in most cases can beat our Central Texas competition through our online store. 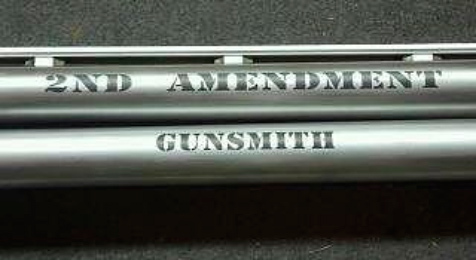 Our goal is to do it right the first time and have you as a repeat customer for all of your gunsmith, gun refinishing, gun sales, accessories, and laser etching needs. 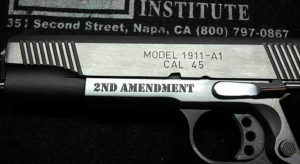 Looking for a new firearm? 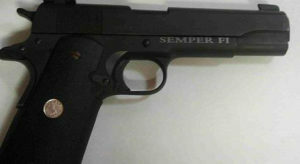 Check out our online inventory for a wide variety of firearms at competitive prices. Store your guns locked and away from children. Every time you pick up a firearm, make sure it’s unloaded. Remove clips, empty magazines, cylinders, and chambers in accordance with owners’ manual. Check the bore for obstructions. 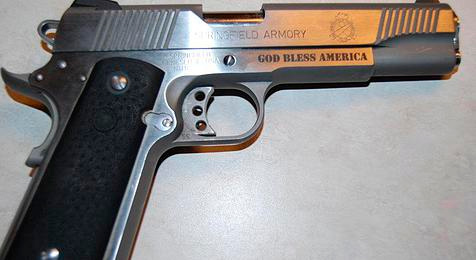 Here are some reviews of the best gun safes. Refer to owners’ manuals for instructions. As a rule of thumb, disassemble only to the point needed to reach areas where powder residue and fouling accumulate (bore, chamber, bolt, etc.). Check your firearms for worn parts, cracks and other signs of excessive wear. Consult a qualified gunsmith for any necessary repairs. 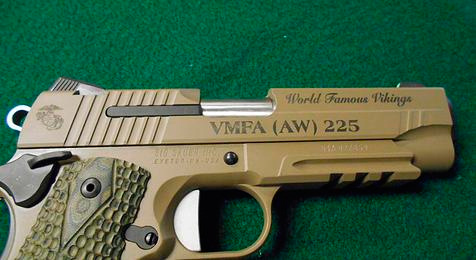 Have a gun to trade in on a new one? Talk to us! If you’re looking for the best criminal defense attorney in Texas, look no further than the Law Offices of Patrick Hancock – more than 27 years of experience of criminal cases in Austin, San Antonio, and Bexar County. 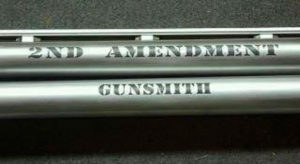 We look forward to having you as a customer for your gunsmith and gun sales needs. Thank you for your business! How important is it to clean your firearm? Most gun problems are due to poor firearm maintenance. Just like your vehicle, your gun must have regular cleanings, oilings and inspections to keep it operating normally and safely. Half if not more of the guns we take in our shop have problems due to fouling, dirt, or other debris that clog up the internals of the firearm and cause excess wear or undesired functionality. An unclean firearm will affect accuracy, functionality (failures to feed, eject, misfires, slamfires, short cycling, etc), and ultimately your safety. An unclean firearm is to be considered an unsafe firearm. We do have to admit, some firearms are easier to clean than others, and some are downright difficult. There is nothing wrong with taking your gun to a professional gunsmith for routine maintenance. While we have your gun, we can look it over for other safety and wear problems that may be an issue. 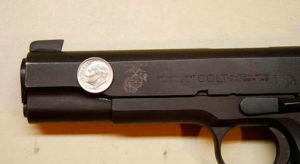 The Crown The crown is one of the most important parts of the firearm when it relates to accuracy. Buildup and dirt (and damage) on the muzzle of your gun will GREATLY decrease accuracy and throw all of your shots off. Locking Lugs/Recesses Hard carbon buildup behind the locking lugs/recesses will not give a stable lockup. ANY slight movement/flexing during ignition will cause accuracy issues. Bolt Face Same as the lugs, the bolt face must be clean to correct accuracy and headspace issues. Barreled Action / Stock contact Floated, bedded or not if you have debris between your barrel/action and stock, it will affect accuracy. This is not a comprehensive list, but just a sample of other areas that you will need to check as you maintain your firearm. Any buildup can and will act as a pivot point, and will enable movement between two surfaces that were designed to be stable. That “rocking” type of movement will give unpredictable results when you are trying to zero or make that critical long-range shot. Another huge factor is safety. When the action has excessive fouling, the chamber can get too tight, or you may start to develop headspace. Either problem is dangerous. Excessive headspace can cause the brass to blowback or out into the chamber slightly and release extremely high-pressure gasses into the chamber. The gas will follow the path of least resistance and you may be seriously injured. A tight chamber can cause the cartridge to not fully seat and you can get the same result as excessive headspace. The first sign of a tight chamber due to fouling is when you start having failures to feed, extract, and eject when the gun was working fine before. 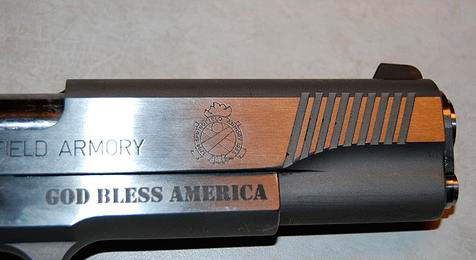 When you get to this point, stop and clean your firearm. If you keep going, you will either have a stuck empty in the chamber that you will have to ram out or a head separation. You don’t want either. Fortunately, most firearms are designed with other safety features that may protect you, but some do not, and some can be faulty due to excessive use. When in doubt, clean your gun!